This book was made for a friend’s wedding. 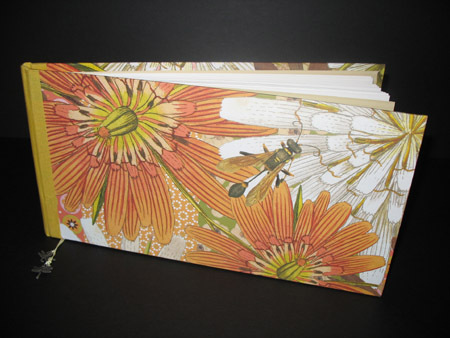 The outside paper reflects the bride’s love of dragonflies; the inside cover paper matches the design of the wedding invitation. 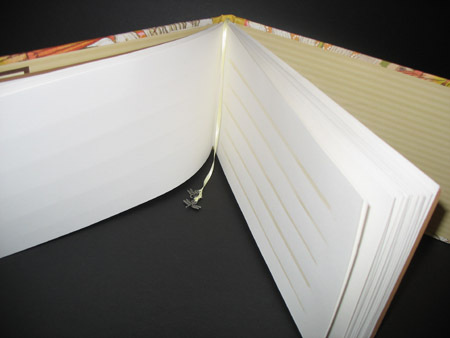 Every page of the text block was hand stenciled with pearlescent paint lines. A small bookmark ribbon ends in metal dragonfly charms.